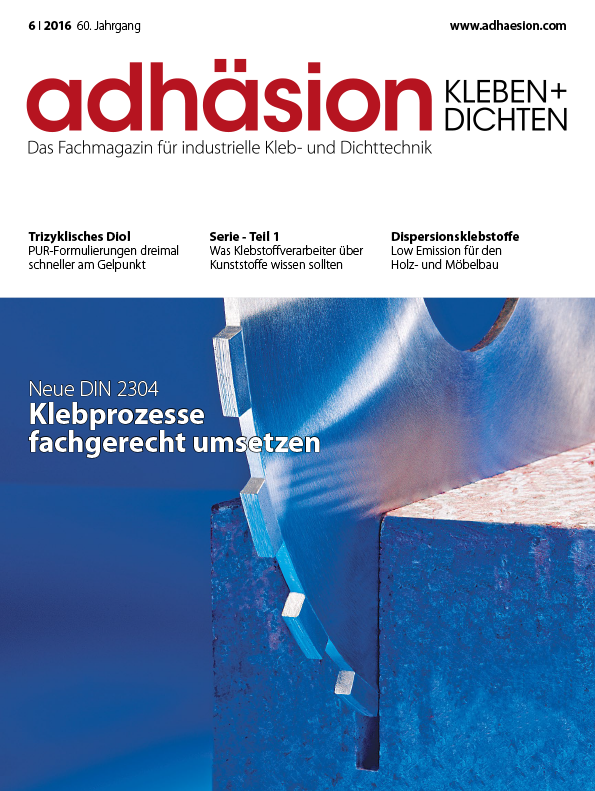 adhäsion KLEBEN&DICHTEN is the only German language trade magazine for industrial adhesive and sealing technology. It is geared to manufacturers and users of adhesives and sealants and creates cross-industry synergies. The reader receives practical information regarding raw materials, adhesives and sealants, instrument and plant engineering, applications as well as research and development. This magazine describes market trends and product developments. adhäsion KLEBEN&DICHTEN is the only German language trade magazine for industrial adhesive and sealing technology. It is geared to manufacturers and users of adhesives and sealants and creates cross-industry synergies. Try two current editions - without obligation.